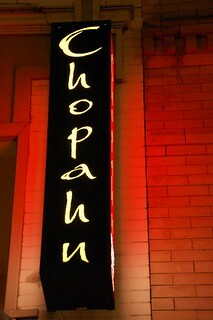 Chopahn is an Afghan restaurant just steps away from the Andaz Hotel, so we gave it a go. We were quite pleased with our dinner. I'd recommend this restaurant to anybody up for something a little different in San Diego. 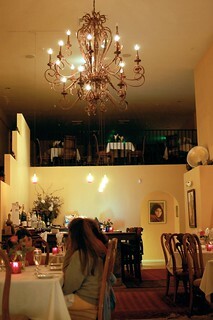 We opted to share one $35 three-course dinner (soup, entree, dessert), some appetizers, and one additional entree. 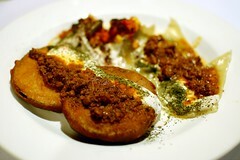 Sambosa -- fried pastries filled with ground beef and chickpeas ($7.95). 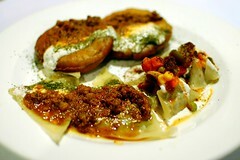 Aushak -- steamed dumplings filled with leeks and spring onions topped with yogurt, meat sauce, and mint ($6.95). 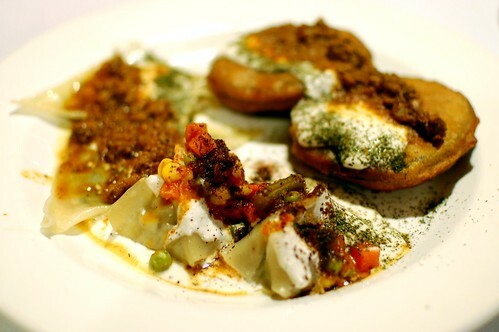 Mantu -- steamed dumplings filled with chopped beef, herbs, and onions topped with yogurt and sauteed mixed vegetables ($6.95). A delicious appetizer assortment! Spice party in your mouth! Aush -- chicken-based vegetable soup with noodles, yogurt, meat sauce, dill. 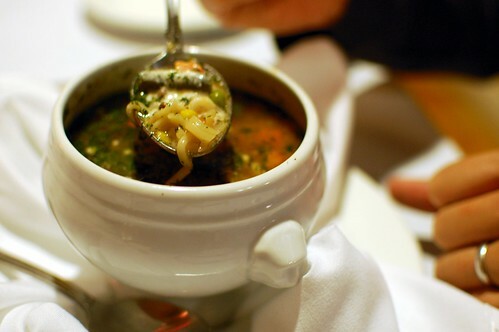 Like a soup version of our appetizers. Nice on a cold night. 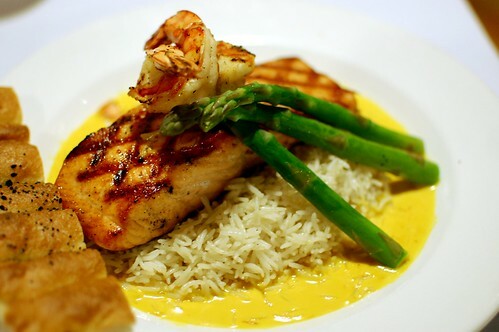 Saffron salmon and shrimp -- charbroiled salmon and sauteed jumbo shrimp with saffron sauce, asparagus, and white basmati rice. Light and bright. Good for you health. Good for your tastebuds. 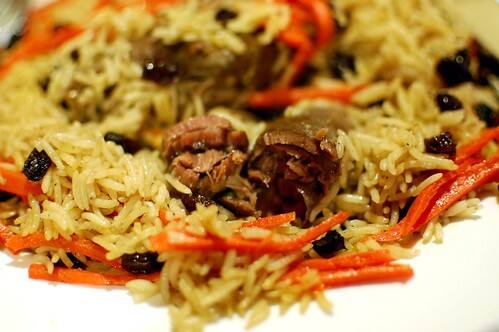 Quabili pallaw -- seasoned pieces of lamb under a mound of delicately seasoned browned basmati rice topped with carrot and raisins ($18.95). Fantastic sweet and savory mix. The lamb was so rich and tender. 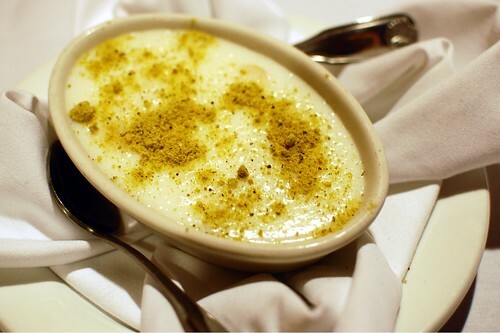 Firnee -- light pudding with cardamom, slivered almonds, and pistachios. I love kheer, so I knew I was going to love this, too. Sweet but not too sweet. Chopahn serves delicious food with a smile. You'll leave with one as a result. 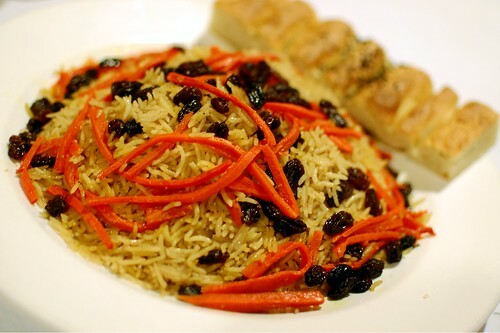 I've never had afghan food before. I'm interested in everything here, except those damned raisins.